What Makes Miami Sailfishing So Popular? One of the most popular questions we get at DeepSeaChronicles.com is “What makes Miami sailfishing so popular?” There are many popular big game to in Miami from marlin and shark to mahi-mahi and tuna, but most people ask about one fish in particular – the sailfish. So what makes this flamboyant creature so popular with fishermen from all over the world? Sailfish have distinct features and a behavior that make them particularly sought-after by fishermen. Features: The sailfish has some of the most distinctly flamboyant features of any big game fish in the ocean. They have bills that art typically longer and pointier than marlin or swordfish. Their dorsal fins are also uniquely pronounced giving the appearance of a sail (hence the name). Their slender bodies, massive sail and pointy bill make them beautiful fish to view. They also have absolutely breathtaking colors that are impossible to describe with mere words. This fish receives the adoration of fish enthusiasts the world round. Behavior: The sailfish is a predator so is naturally aggressive. Their streamlined body is great for bursts of speed that make it one of the fastest fish in the ocean. Their sail is used for maneuverability and warding off predators. When you catch a sailfish – you definitely know. They move quicker than you can possibly see and are extremely aggressive in the water. Their speed adds tremendous tension on the fishing line and they have a characteristic leap out of the water that only adds to the excitement. The fish is one of the greatest prize fish to catch. 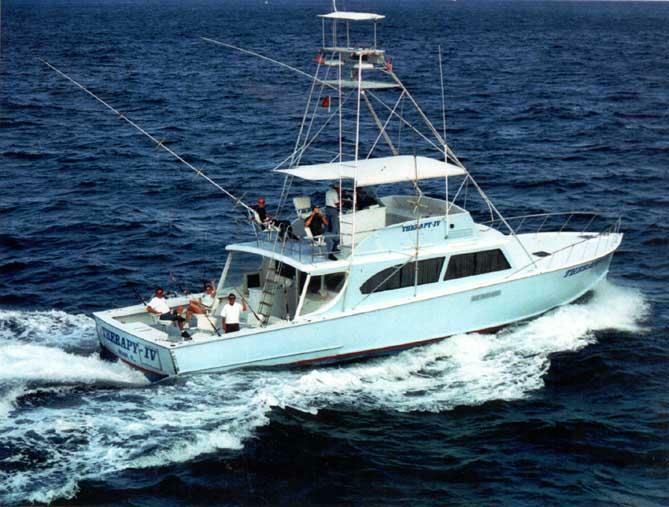 The THERAPY-IV is a deep sea fishing Miami charter with more than 45-years’ experience. They have top-of-the-line equipment, skilled crew members and one of the most experienced captains in the country – Stan Saffan. The Miami sailfishing experience on The THERAPY-IV is unique it its quality, consistency and comfort. The THERAPY-IV comes fully equipped with creature comforts like an indoor bar and flat screen television. It’s easily the best deep sea fishing experience you can have. Let’s Give Our USA Swimmers a Boost of Confidence!!!! The first couple days of the Olympics have had mixed results for Team USA. Already with a couple gold medals – we are performing well – but certain events are struggling. The increasing presence of Chinese and other new swimming competitors has challenged our dominance in the sport. Some countries may turn on their team for having a lackluster performance – but not Team USA. We need to support our swimmers and carry them back up to the podium. The THERAPY-IV knows a thing or two about performing well in the water. For over 45-years, The THERAPY-IV has been taking people on trips of a lifetime like Miami Marlin fishing, deep sea fishing Miami and more. They have made themselves an integral part of their community through teamwork and local pride – that’s what is needed for this US swim team. American superstar swimmers like Michael Phelps and Ryan Lochte took a blow with the loss of a big relay race yesterday. As two veterans of the Olympics, Lochte and Phelps should be able to bounce back in the coming days – but we should still support them and let them know the United States is behind them. Michael Phelps pulled off a phenomenal Olympic performance in Beijing 2008, and is poised to become the greatest Olympian of all time if he can win some of the events he’s in. That is certainly something to get excited about. The Olympic swimming team is more than just Phelps and Lochte of course; with dozens of talented athletes all making their mark this Olympics, there’s plenty to be proud of. It’s time for the USA to step-up its support for our swimming team and root them on to Olympic gold. The Olympics overall medal count is deeply affected by aquatic sports – so their success could mean the overall success of Team USA. The THERAPY-IV has been closely following stories leading up to the 2012 London Summer Olympics – and it’s finally here. The Olympics kicked off literally with US Women’s Soccer Team playing France in the first game of the tournament. Team USA was down two in the first half but made and impressive comeback to win the game 4-2. Team USA’s exciting performance is making everyone wonder if the US team sports will win out all the way. The THERAPY-IV will continue covering Olympics with news, editorial pieces and more. Feel free to share with us and head over to the Haulover Marina for some quality deep sea or Miami inshore fishing. The category of Olympic team sports is larger than most people think; with obscure sports like badminton and field hockey – the amount of Team USA teams are numerous. Most people think of basketball, soccer and gymnastics being the biggest sports. Team USA does have the potential of winning in all three of these areas and some other team sports we have yet to dominate. The THERAPY-IV has already expressed its confidence in the Team USA basketball team which has performed well in pre-tournament warm-ups. The team is led by LeBron James who, along with being the best basketball player in the world, is a beloved figure here in South Florida. The gymnastics team gets a lot of attention in this tournament. It’s a field traditionally dominated by Russia, China and the US. But more and more countries are working their way into the top levels of competition making each Olympics more of a “toss up”. We are going to “go out on a limb” and state that the US will take the team gymnastics gold. Lastly, the three time Olympic Champion US Women’s soccer team is looking for gold once more. The US typically does well in the Olympics, but with recent losses to Japan who is also in the tournament – some question if the US can make it back on top of the podium this year. The THERAPY-IV fully supports our female soccer players and have full confidence they will also win gold. The THERAPY-IV, Miami Beach’s leading deep sea fishing charter, recently announced its support for Men’s Warehouse “National Suit Drive” a program that accepts suits as donations and distributes them to the less fortunate. According to their website, “Now in its fifth year, the National Suit Drive benefits at-risk men transitioning into the workforce. Donate your gently used professional attire, and give a man a chance to transform his life”. This is an admirable program offered by a classy company. The THERAPY-IV supports this drive and asks our fans to consider donating their lightly worn suits to the cause. There are so many ways to help the less fortunate, but few give people the kind of confidence needed to excel as a suit drive. Additionally, suit drives do help the lower class, but they also help the often forgotten middle class. Middle class families have been hit extremely hard by the great recession. A good suit can help a middleclass worker get a job and support their family. The suit drive, held annually by the Men’s Warehouse has continued to grow in popularity and yields greater donations every year. The THERAPY-IV is known for its support of the local community, armed forces and philanthropic practices. The THERAPY-IV has donated and American flag and flagpole to the Haulover Marina, as well as renovating the Haulover Marina entry sign with an American flag mural and billfish statue. The THERAPY-IV was also featured on the Sportsman Channel show “Coming Home with Greg Stube”. This program was dedicated to helping soldiers coming home from overseas find outdoor sporting activities to help their mental and physical health. The THERAPY-IV will continue posting blogs, and sharing information on their Facebook Fan Page supporting this great cause. Remember, if you have a gently worn suit you would like to donate that will help someone get back on their feet – go to the Men’s Warehouse website for instructions on donating. The THERAPY-IV also recently announced the offering of Miami inshore fishing. The THERAPY-IV will be dedicating a good amount of time to celebrate the upcoming 2012 Summer Olympics in London. They will have coverage of the Olympics on their blog (deepseachronicles.com) and support Team USA on their Facebook Fan Page. Captain Stan and the crew of The THERAPY-IV recently just came down from an uproarious celebration for the Miami Heat’s NBA Championship and know first-hand the talent brought by one particular individual – LeBron James. This Champion has performed amazingly throughout his career and has an open invitation to take a deep sea fishing Miami trip (he probably would have taken it had he not gone to London – but we are happy he’s there). LeBron James is not the only star on this team which features the NBA’s most talented players. With talented players like Kobe Bryant, Carmelo Anthony, Kevin Durant and more – this is one formidable team and a heavy favorite this Olympics. Some players that are likely to shine on the world stage include LeBron James (of course), Kevin Durant, and Kobe Bryant. Kevin Durant is an up-and-coming NBA superstar with incredible athleticism and freakish natural ability. His height, skills, agility and speed set him apart from nearly every player in the world. The only thing he lacks is probably experience – that is where veterans like Kobe Bryant can really help. Kobe is a true superstar who has accomplished everything an NBA player could hope to accomplish and more. So, Team USA has the perfect combination of players: Kevin Durant – the most talented youngster in the world; Kobe Bryant: the most experienced and accomplished player in the world and LeBron James: the best basketball player in the world. This Team USA is going to exceed its already high expectations. Catching marlin is a once-in-a-lifetime experience and something that would be incredibly difficult to do on your own. Luckily, the skilled Captain and crew of The THERAPY-IV specialize in catching Marlin, Sailfish, Shark, Dolphin, Tuna, Grouper, Tarpon and more. These big game fish bring Miami Marlin fishing to another level few people get to experience. The act of catching and reeling in a Marlin is a mental and physical experience that is not soon forgotten. Marlin are part of the billfish family, which explains their most noticeable feature, pointy long bill. They have slender bodies and defined dorsal fins. They are literally designed for speed and agility making them one of the top hunters in the ocean. Being one of the fastest fish in the ocean and weighing close to the weight of an average human, catching these fish is a test of a person’s physical and mental fortitude. Marlin are certainly up there with the hardest fish to catch – they also make incredible prizes as mounted fixtures or as an epic picture. There are two types of marlin you will likely catch on a Miami deep sea fishing excursion on The THERAPY-IV: the Atlantic Blue Marlin or the Atlantic White Marlin. The Atlantic Blue Marlin is a fantastic specimen that can reach 16 feet in length and 1,200 pounds (in rare cases); most of them are quite smaller. The White Marlin is slightly different with its most defining characteristic being its incredible bill and white design. These fish are slightly smaller but have breathtaking beautiful designs. The THERAPY-IV provide the leading bill fishing experience from catching Marlin and Sailfish to Swordfish and more. Marlin are fast and strong; catching them and reeling them in is a truly rewarding experience. The THERAPY-IV Reaches 45-Year Milestone - The THERAPY-IV captained by Stan Saffan celebrated its 45th year as a leading Miami deep sea fishing charter. The Captain, crew and boats have been operating out of the Haulover Marina since the mid-20th century. This milestone was commemorated with a new boat design that included “45-Year Anniversary” plaque. The amount of this company has been leading the local deep sea fishing Miami market is worthy of a gold medal. The THERAPY-IV Featured on Sportsman Channel - Known throughout the local community as one of the most patriotic operations in South Florida, The THERAPY-IV was honored to be featured on the Sportsman Channel TV show “Coming Home with Greg Stube”. This show was designed to display fun sporting events for soldiers coming home from Iraq and Afghanistan. The show was a huge success as Captain Stube and all involved caught incredible big game fish. The THERAPY-IV Receives 98% Approval Rating on TripAdvisor – TripAdvisor gave The THERAPY-IV a certificate of excellence for their incredible approval rating. A majority of those who “Approved” of the deep sea fishing company gave them a rating of “Excellent”. This level of excellence is rare with any TripAdvisor profile and certainly worthy of a gold medal moment. Did you or your business have any gold medal moments so far in 2012? Feel free to share with us here on the blog. The THERAPY-IV, a leading Miami Deep Sea Fishing charter, is bringing you fantastic Olympic coverage this summer including news, editorials and contests. Captain Stan and crew of The THERAPY-IV are very patriotic, sports fans and the best deep sea fishing team in South Florida. They are definitely looking forward to this Summer Olympics and are closely following the storylines developing this Olympics. Of the thousands of athletes competing, some are gaining recognition for their incredible talent, while others for overcoming diversity and others for both. Here are the top three storylines to follow this Summer Olympics. Can Michael Phelps Closeout His Career with More Medals? This is Michael Phelps admitted last Olympics and the 14-time gold medalist is undoubtedly one of the greatest Olympians of all time. He has new competition in the form of Brian Lochte, who is an American that has beat Phelps in several competitions leading up to the Olympics. Michael Phelps certainly has more competition now that he did during the Beijing Olympics four years ago. As the golden boy of the US Olympic Team he has a lot of pressure to perform. Will The US Beat China? Let’s face it – there’s more at stake than just a medal race when the US takes on China. The recurring question of who is the most powerful country in the world will manifest itself this summer in Olympic competition. The US beat China last Olympics in the medal count but their Olympic team – like their economy – continues to get better and better. The US can make a stand this Olympics by staying on top of the medal count. Which Team Will Come Home Victorious? Our Basketball, Women’s Soccer and Gymnastic Teams are front runners in Olympic competition with great expectation for gold. Which of these teams will perform and come out with gold is the big question. The Basketball team looks strong but with growing world competition – it’s not the “walk in the park” it used to be. The soccer team also faces steep international competition and was not victorious last World Cup in similar competition. The Gymnastics team has the slimmest margins as favorites, they probably have the biggest hill to climb of the three. In case you were not aware, The THERAPY-IV Captain and crew are getting more and more excited about the upcoming Olympic Games in London. Our last post was about the opening ceremony and the Olympics starting off July 27th, 2012. This post is the early predictions from The THERAPY-IV on which Americans are going to shine on the world stage during the Olympics. Feel free to give us your feedback, as for the Captain and crew of The THERAPY-IV – here are our picks for gold medal success. Come celebrate the Olympics with us at Haulover Marina with a deep sea fishing trip. Michael Phelps – This is a pretty easy pick. With 14 gold medals under his belt, he’ll easily get at least one gold medal this Olympics. According to Michael Phelps, this will be the last Olympics he’ll compete in. With the most gold medals awarded to any swimmer, he’s easily one of the greatest Olympians of all time. LeBron James – This multiple time NBA MVP title holder, and NBA champion is leading the Team USA basketball team as heavy favorites for an Olympic Gold Medal. LeBron James is one of the greatest basketball players of his era and any other era – it’s a pretty safe bet that he and the rest of the NBA superstars on Team USA will come away with gold. Ryan Lochte – Not only does the US have the world’s best swimmer in Michael Phelps, they also have the world’s 2nd best in Ryan Lochte. 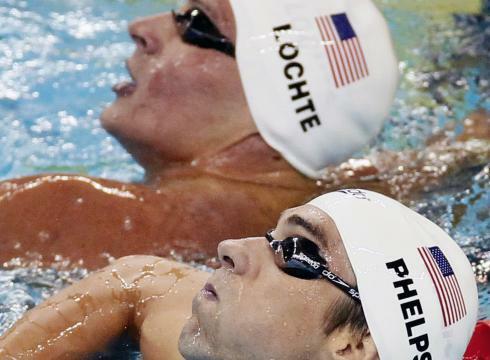 Phelps and Lochte will go head-to-head but also race apart. Chances are both Phelps and Lochte will leave with multiple gold medals. Gabrielle Douglas – This rising star in gymnastics is competing individually and on the USA gymnastics team. She is a heavy favorite in almost everything for which she is competing. She is likely going to be one of the new American headliners this year. Danell Levya – This is probably the most exciting male gymnast on the American team. He has dominated the last couple world gymnastic competitions including Gold Medal in parallel bar in the Tokyo World Championships last year. The THERAPY-IV is Ready for London 2012 Summer Olympics – Are You? 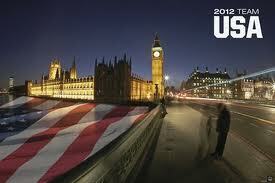 The opening ceremony for the 2012 Summer Olympics will be July 27, 2012. The ceremony promises amazing performances, dramatic story lines and some incredibly important guests. According to their website, “The Opening Ceremony is a celebration showcasing the best of the Host Nation. It also features a parade of all competing nations and the highly anticipated entrance of the Olympic Flame, which ignites the Cauldron and signals the start of the Games”. Guest of Honor for this event will undoubtedly be the Queen of England who will preside as Head of State over this historic event. The THERAPY-IV will be heavily involved in this Olympics as they are with certain major sporting events. With specials, media coverage and more, The THERAPY-IV Facebook, Blog and Website are the place to get all your editorial coverage of the upcoming Summer Olympics. Some storylines to follow this year include returning Olympic Legends like Michael Phelps (swimmer with over a dozen gold medals) and Usain Bolt (fastest man on Earth). Of course, The Captain and crew of The THERAPY-IV will be 100% behind the United States of America as they seek to become the country with the most Gold, Silver and Bronze medals. Most of the coverage of this Olympics will likely be on popular Track and Field events like 100m sprint, long jump and decathlon. Swimming events and gymnastics will also be popular. Other popular events include team sports like basketball, baseball, gymnastics and soccer. As always, much of the focus will be drawn to the United States stellar basketball team headed by Kobe Jones, Kevin Durrant and of course, King LeBron James of the championship Miami Heat team. So, if you are as excited about the Summer Olympics as the Captain and crew of The-THERAPY-IV, join us here on Facebook and on deep sea fishing Miami trips to cheer on Team USA! The Barracuda is one of South Florida’s most famous fish. The ancient Native American tribes that lived in South Florida worshiped the fish as a skilled predator. The barracuda has a streamlined design which makes it one of the fastest fish in the ocean – but it’s the big fish’s temperament that has made it infamous in South Florida. The barracuda may not be as big as a shark, sailfish or marlin, but it makes up for size with serious attitude. Getting a barracuda on your line while going on a Miami deep sea fishing trip on The THERAPY-IV is a once in a lifetime experience you will not soon forget. With a formidable, large size and incredible speed – barracuda is one of the most challenging fish to catch in South Florida. The fish is known for being incredibly difficult to reel in because of its power and speed. Miami Barracuda fishing also make great prizes for any fisherman. The fish is not exclusive to South Florida and can be found in tropical and subtropical waters across the world. However, South Florida is one of the leading places to catch these beasts on a deep sea fishing excursion. Some characteristics that set these fish apart are their menacing teeth which resemble that of the piranha. Their razor sharp teeth are accompanied by a very scary bite and bad attitude. This is simply put one mean fish. The barracuda also has a famous under bite that makes it appear even more menacing with its incredibly sharp teeth. Other fish that have often been compared to the barracuda in terms of ferocity and difficulty to catch include sharks like the hammerhead, nurse shark and more. For more information on going barracuda fishing in Miami on the THERAPY-IV, give Captain Stan and the crew a visit at the Haulover Marina. HAPPY BIRTHDAY Captain Stan of The THERAPY-IV!!!!!! 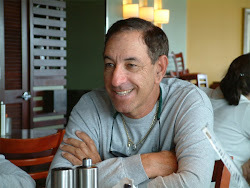 July 11th is a very important day at the Haulover Marina in Miami Beach; it’s Captain Stan’s birthday who has been Captain of The THERAPY-IV Miami Deep Sea Fishing vessel for over 45-years. In that time, Captain Stan has taken thousands of people on deep sea fishing excursions and developed long lasting friendships with passengers, crew and others at the Haulover Marina and beyond. 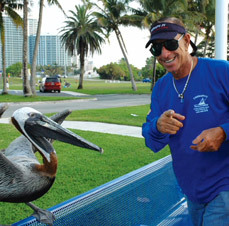 Captain Stan began fishing at the age of seven with his father and brother at the Haulover Beach. He then began working as a deckhand on the all-day drift boats. He worked weekdays, weekends and holidays till he built his own deep sea fishing vessel he named “THERAPY” in 1976. From that point on, Captain Stan became one of the most well-known deep sea fishing boat Captains in all of South Florida. He had a reputation for great customer service and incredible expertise in catching big game fish. In 2010 he added another boat to his fleet also named “The THERAPY-IV”. Both boats have top of the line fishing equipment, indoor bars and flat screen televisions. Captain Stan has earned numerous awards for quality services in his more than 45-years as Captain. Along with great service, Captain Stan has also contributed a lot to the local community and armed services. He donated an American flag and flagpole to the Haulover Marina, as well as renovating the Haulover Marina American Flag Mural sign that graces the entrance. The Captain also donated a sailfish statue that also graces the Haulover Marina entrance. Captain Stan is well known within the armed services community for donating his time, services and boats to supporting soldiers and service people. Captain Stan and The THERAPY-IV were featured on Sportsman Channel’s Coming Home with Captain Stube which is a show dedicated to displaying great sporting activities for US Military Veterans. The Captain also donated his boat to the 2012 US Navy Fleet Week which was held in Fort Lauderdale just north of Haulover Marina. From everyone at the Haulover Marina, US armed services and local South Florida community – Happy Birthday Captain Stan. The THERAPY-IV has operated out of Haulover Marina for over 45-years and the last couple years has received an impressive number of positive reviews on TripAdvisor.com. With over 126 reviews and 123 of them being very positive – The THERAPY-IV has a 97.6% approval rate (That is massive). Because of this – The THERAPY-IV has received TripAdvisor Travelers Choice Award. The genuine reviews come from only a fraction of people who have gone on Miami deep sea fishing trips with the Captain and crew of The THERAPY-IV; here are some of the reviews. “My friend and I went out with Capt. Stan and his crew celebrating my Birthday. We had an amazing time on the water. It was very hot but all worth it. We caught Bonita Tuna and Wahoo. The staff was great, and flilet the fish for me wafter to grill up! I would defienetly do this trip again in the near future! “Me and my friend did a four hour afternoon trip. After only a few minutes seven perfect rods were out. They did everything to make us catch fish and we caught some Boritos and a huge Barracuda. Even if the fishing was not the best our day, the captains were absolutely superb. The boat was very fresh and I would definitely recommend this trip. Probably the best gear I have ever seen and I have been on many trips world-wide”.